I love it when long-time customers come back for more. 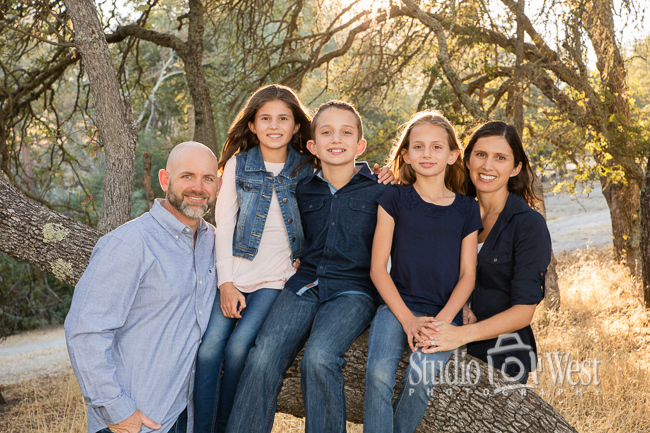 Carrie, from San Luis Obispo, has been a portrait customer for about 10 years! 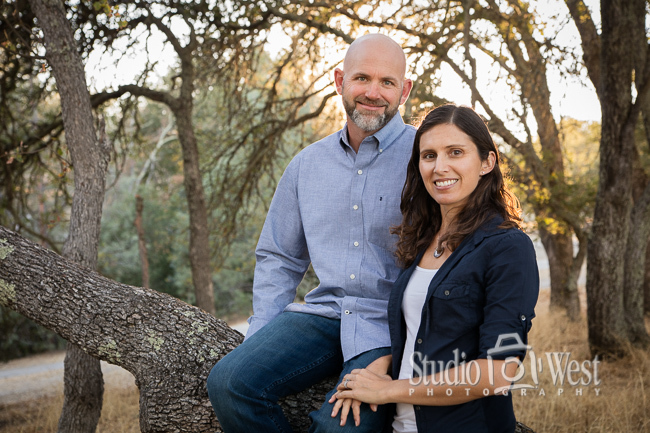 This year we went to one of my favorite oak forests in Atascadero for their family portrait photo shoot. 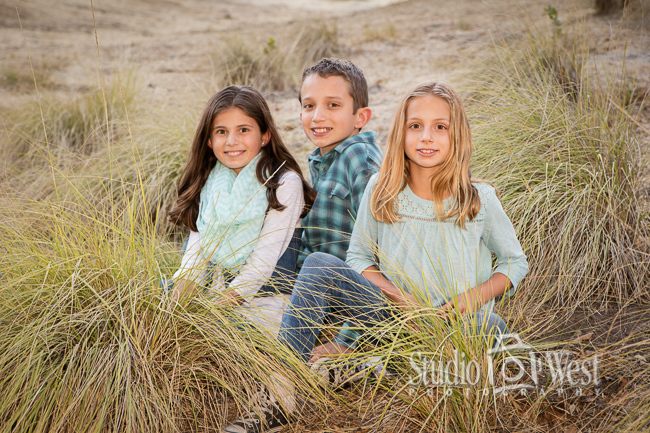 We spent about an hour at this wonderful outdoor location and shot until the sun went down. Carrie loved the prints when she picked them up and I am sure they will make their home feel even warmer this holiday season. 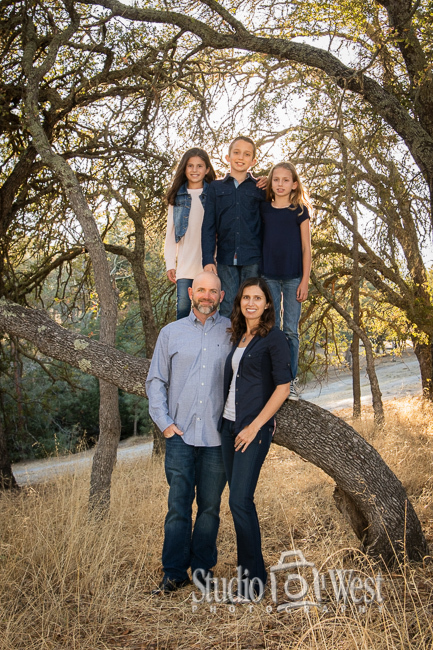 The kids especially liked climbing a tree for a couple of photos. I always try to make our photo shoots fun. Check out the short video below to see what I mean. 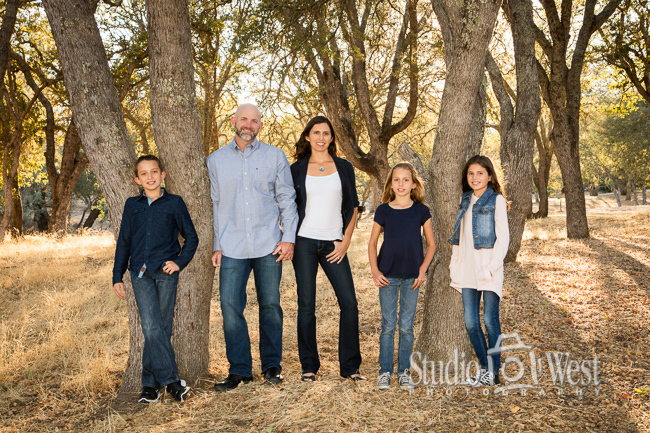 For more information or to book your next family portrait with us, check out our website at www.studio101west.com or call us at (805) 460-6300.